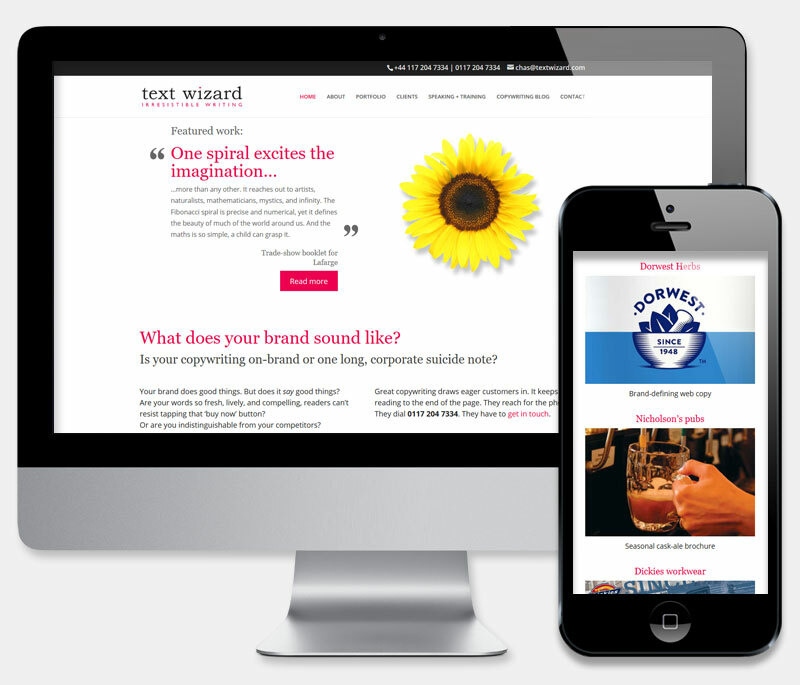 Text Wizard are a team of copywriters based in Bristol in the west of England. But their reach is global. They don’t just serve copywriting clients in Bristol or the southwest. Brand and marketing managers from across the UK, Europe, and the world have fallen under their spell. With great copy and a wealth of quality porfolio examples, Text Wizard were seeking a team who could deliver a website that allowed them to showcase their wordsmithing skills to maximum effect. The brief called for a custom banner, new logo design, portfolio section and blog. This fully responsive site was built on the latest WordPress CMS. 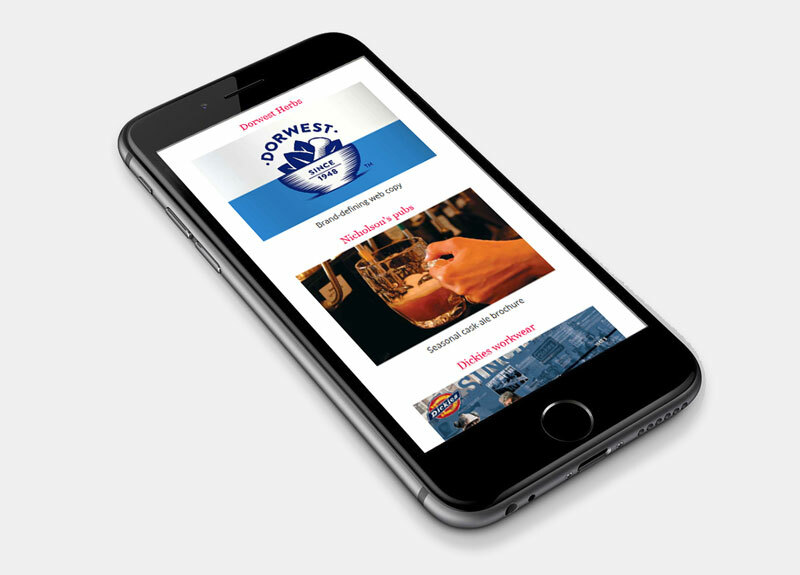 Great care was taken to ensure that the site functions effectively on even the least capable mobile device, for an optimised browsing experience. The custom coded banner supports client updatable content, animations, images and project descriptions and the clean, crisp design ensures that visitors are encouraged to focus on the all important text content. A modular portfolio section and blog ensures ease of updating via the CMS and the new Logo design - supplied as always, in a print ready vector format- ensure that all future Text Wizard materials remain on brand. I thought I'd have to look to the city for decent web design. I was wrong. The WDL team are razor sharp: the design is everything I hoped for; the supporting technology is easy and adaptable. I'm delighted with my website. Nice blokes too.